Bo Horvat scored the game-winning goal 16 seconds into overtime to lift the Vancouver Canucks to a 3-2 victory over the host Chicago Blackhawks on Monday night. Horvat buried his 25th goal of the season with a shot from point-blank range on the Canucks' first chance of the extra session. Alexander Edler and Markus Granlund also scored for Vancouver, which won its second game in as many nights and pulled within two points of the Blackhawks in the Western Conference standings as both teams compete for a shot at the playoffs. Jonathan Toews and Erik Gustafsson scored for the Blackhawks, whose five-game winning streak came to an end. Canucks goaltender Thatcher Demko earned his third career victory by stopping 29 of 31 shots. 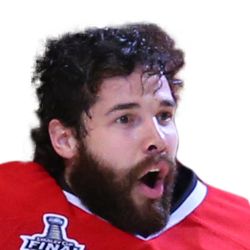 Blackhawks goaltender Corey Crawford gave up three goals on 34 shots to drop to 12-15-3. The Blackhawks forced overtime after Gustafsson evened the score at 2 with 3:13 to go in regulation time. Moments after a won faceoff, Duncan Keith slid a pass along the blue line to Gustafsson, who ripped a one-timer through traffic for his 14th goal. Chicago opened the scoring while on the power play in the final minute of the first period. Patrick Kane zipped a pass from the top of the right circle, and Toews redirected the puck between Demko's legs for his 31st goal of the season. Kane tallied assists on both Blackhawks goals, giving him 101 points (41 goals, 60 assists) on the season. It marked the second time Kane has reached the 100-point milestone, and he has 10 regular-season games remaining as he looks to top his 106-point performance from the 2015-16 campaign. Vancouver responded with a power-play goal 53 seconds into the second period to even the score. Edler quickly fired a wrist shot through traffic for his eighth goal of the season and his third since March 6. 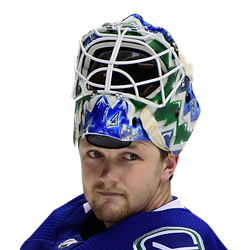 The Canucks grabbed a 2-1 lead when Granlund poked a shot above Crawford's left leg from near the front of the crease with 13:38 left in the second period. It was Granlund's 10th goal.